“We, The Angelic Kingdoms of Light, thank you for embracing the role of teacher, and know it will bring you great blessings both during your life on earth and in other dimensional realms. Your human consciousness may never fully comprehend the great service that you do, but it will be seen from ‘above’”. 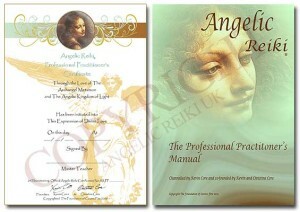 My Angelic Reiki® workshops will bring a new paradigm in the understanding of your journey to deeper self-healing. Each workshop is delivered over two and a half days. Prices may vary as each workshop is set by the Angelic Reiki Association. The purpose of this workshop is twofold. 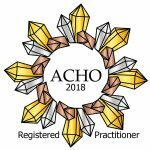 It is to extend and deepen the participant’s knowledge of the healing process and to provide appropriate support and training for those interested in practising professionally. It is held over two or three days, depending on your experience, for example, if you are already a registered, insured, practicing healer. Some of the subjects in this workshop are particularly important and may be covered to a deeper level as separate classes and/or in a modular fashion. It also may be that some subjects are covered in the previous 2 workshops which can be extended to include these areas especially in the 3 and 4. You will also receive your Professional Practitioners Manual and Certificate. A non-refundable deposit of £100.00 is required to secure your place and booking. Is this level not quite right for you? 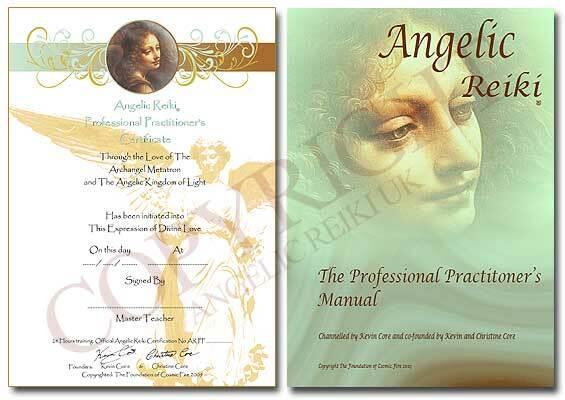 Angelic Reiki is taught through four levels, every workshop is two and a half days long and each workshop is a different price as set by the Angelic Reiki Association. If this level is not quite right for you take a look at the other levels that I teach or contact me to discuss your needs. All the workshops this year have taken place. If you are interested in training with me, register your interest and I will send you the details of the new dates for 2019 before I release them online.